Standing on the corner of 6th and Market, looking up at the building in which both the Declaration of Independence and the U.S. Constitution were signed, all that the owner of Midtown Sweeps can say is “I wonder who cleaned the Founding Fathers’ chimneys?” So it is with any true chimney sweeping professional. And so it will be with the two sweeps from Midtown who recently hit the map in Philadelphia - a father and son lineup known as Dean M. Rossi (sweep and son) and Dean Rossi (manager and father). Already, the two are tackling soot in Benjamin Franklin’s backyard. This newest franchise to open under the Midtown Chimney Sweeps brand is now inspecting, sweeping, and repairing chimneys in well-known Philadelphia suburbs, such as Bucks and Montgomery Counties. Though the Rossis’ franchise was off to a quick start with some large contracts coming through, business got a little hotter when summer cooled off and autumn officially began. As Philadelphians prepare for mulled cider and toasty cheeks by the hearth, customers call the Midtown scheduling center for their annual sweep and inspection. The Midtown Chimney Sweeps Franchising home office looks forward to booking a record number of chimney sweeping and dryer vent cleaning jobs in Pennsylvania during this fall of 2017. We asked Mr. Dean M. Rossi what kicked off his online search for a chimney sweeping franchise. He said it was an informal conversation with an old contact in New Jersey who recently purchased a thriving chimney sweeping company and was watching it grow. Dean M. Rossi and his father decided to become Certified Chimney Professionals when learning that annual chimney sweeping would help ensure their neighbors’ safety and also provide income for the young Dean, a Marine recently returned home from 4 years of active duty abroad. They flew out to Denver, Colorado and did a two-day Discovery Day process with the home office staff and other scheduling center staff of Midtown Chimney Sweeps Franchising. The Philadelphia territory was available. They bought it. And now Dean and Dean are a part of this advanced chimney care franchise with roots back to 1979. When asked “Why Midtown?”, Dean said that Midtown stood out when compared with similar franchising companies because of the home office call center; that benefit alone can save a franchisee plenty of time for accomplishing other work. 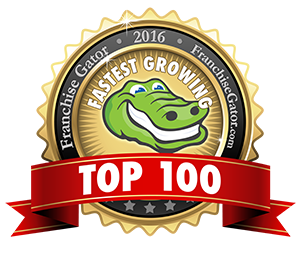 Not to mention, he couldn’t help noticing the many positive reviews that both franchisees and customers have written online for Midtown. After having submitted a franchise request online, the two Deans met with Midtown’s president (Byron Schramm) in Denver during June 2017. While we don’t know who may have swept those towering flues at Independence Hall, we do know who swept George Washington’s chimney: entrepreneur Richard Allen, a founder of the Free African Society. Chimney sweeping is as old as chimneys, which is pretty old. Chimney and dryer vent cleaning is an important profession, and Midtown is proud to have conscientious men such as Dean M. Rossi and his father Dean Rossi represent the brand as they carry on the rich tradition of keeping America’s chimneys clean and hearths burning bright. So if you happen to be in Philly and need a sweep uptown, downtown, or midtown, you may now call Midtown Chimney Sweeps in Pennsylvania and get Dean Rossi to the power of two.